Mango flavored gelatin at its best. 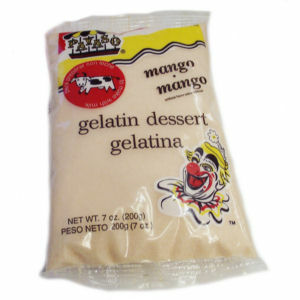 If you want your family or guests to have the very best, then Payaso Mango flavored milk based gelatin is for you. You can also add chunks of your favorite fruits, or perhaps you want to make it all mango by simply adding canned or fresh cut mangoes and you will be very happy with the results. Enjoy.